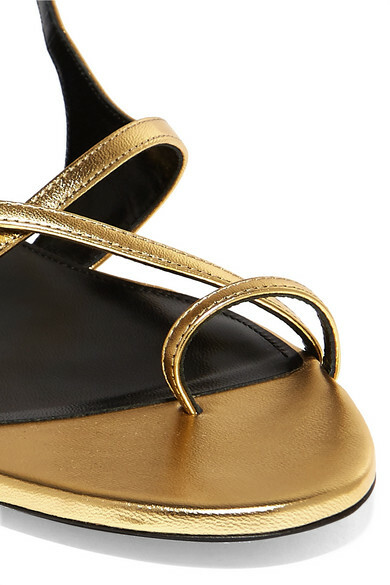 Saint Laurent's metallic 'Gia' sandals will glisten so gorgeously under the sun or low evening lights. They secure with slim leather straps that nod to this season's 'naked' trend. Wear yours with cropped denim or a breezy dress.